Facebook can turn a Bokeh image into a 3D one. Bokeh images look sort of three dimensional, with their subjects in focus and their backgrounds blurry. Facebook took this idea and ran with it. The social networking service created tech to turn bokeh pictures into 3D images. “3D Photos use the depth maps that are stored with ‘Portrait’ photos taken on iPhone 7+, 8+, X or XS,” according to Facebook. Don’t be confused. Apple sometimes calls bokeh images “Portrait” images, and that’s what Facebook is referring to. Images will apparentlyy need to be marked as 3D for the software to convert them from bokeh. People will still be able to post bokeh images to their feeds without them automatically being made three dimensional. 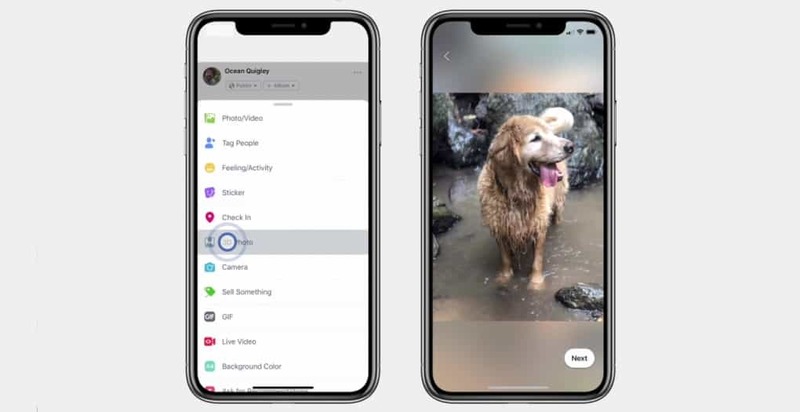 Some Android devices can also take bokeh images, but at present the Facebook 3D Photos conversion process can only happen on iOS. In addition, the images can be viewed in VR using the Oculus Browser on Oculus Go or Firefox on Oculus Rift.